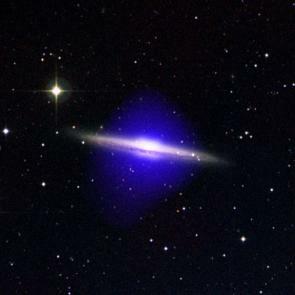 About 30 years ago astrophysicists noticed that things didn’t add up for galaxies. There just wasn’t enough material to explain how they came into being out of the early universe. Computer simulations showed the universe should have rapidly broken up and diffused into a huge gas cloud but thats not the case – there are millions of galaxies out there spiralling away. Basically there’s lots more gravity than there should be. So they started to postulate that there was matter that we couldn’t see that was creating a gravity field but not interacting with light. 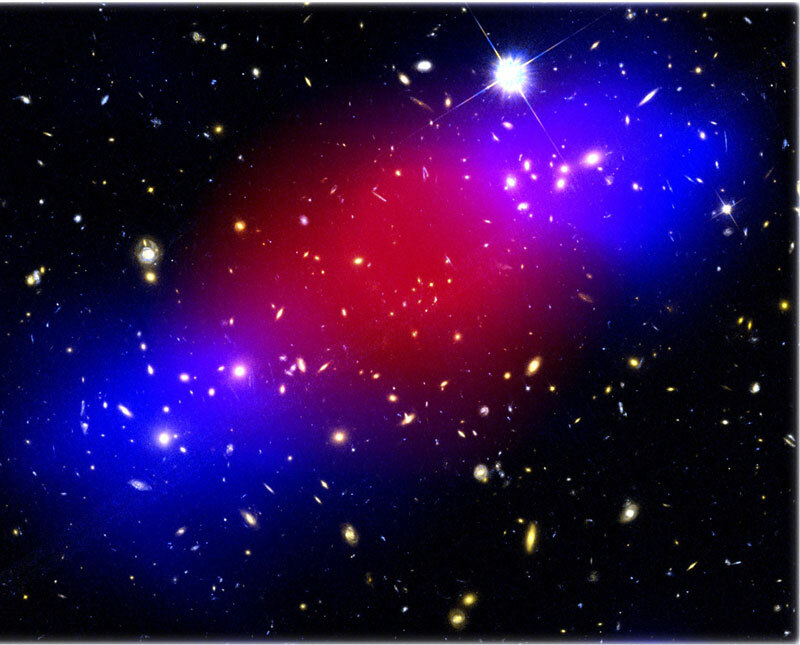 So they called it dark matter which is a seriously cool name. Since then this theory has become accepted as the explanation for how the universe is. 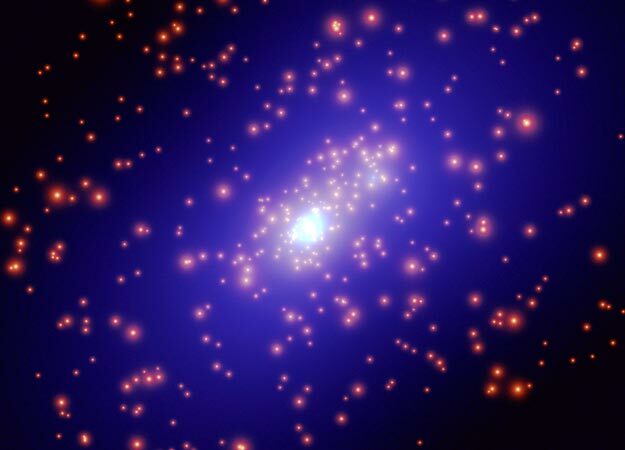 Today there are long term experiments trying to measure and prove the existence of dark matter. The concept of the world around us has completely shifted from a Newtonian view that is based on atoms and visible matter to one that now has the universe consisting of only 5% atoms and 23% dark matter. Dark matter formed a template out of which the so called material world has coalesced. So the amount of dark matter is considerably more than visible matter but so far can’t be measured. and then there’s dark force. Observation of the galaxies around us has shown they are all moving away from us at hugely increasing speeds that only make sense if there is some other very powerful force at play. 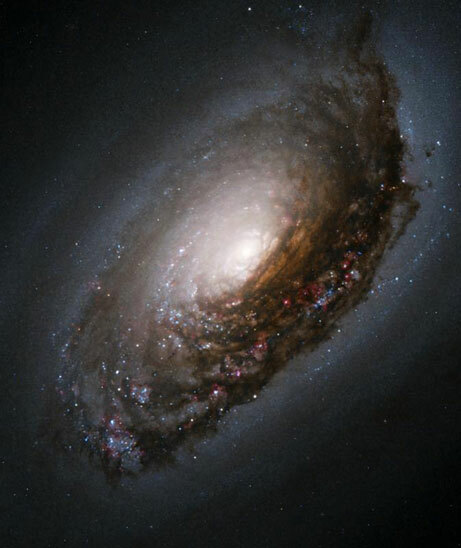 This force is called dark force and amounts to around 70% of the universe. Sometimes it’s called phantom force or ghost force! And its action is to create entropy or to diffuse matter while dark matter is about bringing about condensation. Has physics gone mad? Or is it finally seeing that the material world is just the foam on top of an invisible universe of subtle and as yet unknown forces. Truly what we know about our universe is merely 5% of a whole phenomenon that we simply don’t understand. However what astrophysicists don’t seem to get into is how all this completely applies to human beings. If the universe is like that, if galaxies are like that then we as products of all of that are also the same. We have dark matter and dark force which can’t be seen or easily detected. Is this the subtle forces of the body we come into relationship with in CST? Is this the potency and breath of life level of our systems, that is, are we feeling dark matter and dark force? Is dark matter the blueprint for the body? You can’t see it as it doesn’t interact with light but you can feel it. Is there finally an explanation for how the body seems to form out of nothing, is there dark matter templates in place for the embryonic cells to form around? That would explain the whole of the early embryonic development nicely, there’s a subtle force subtle matter layer that is not visible but is creating a structure for visible matter to aggregate around and form the visible body actually the light body ~ one that interacts with light and our dark body is there too and is much bigger but invisible. We must be creating more gravity than is assumed, just like galaxies we have a bigger pull due to our dark matter. What science needs to create are gravity measuring devices, most measurements are for light. Or just use your felt sense, the super sense we have through touch and resonance makes it possible to relate to these forces. Here’s some pictures of dark matter surrounding a galaxy, it looks suspiciously like an aura or energy field that interacts and surrounds the visible matter of the galaxies.